Social media has become a major consideration for fund managers looking to embrace a communications strategy that will put their name – and their funds – in front of possible investors. Yet for those who are not regular users, it can be tough to decide when to use it, and more importantly, when not. Up until the election of Donald Trump as President of the United States, there was still a high degree of scepticism among C-suite executives about the value of social media platforms. When Trump was sworn in as president, there was an assumption within Washington DC political circles that he would yield his Twitter account to communications professionals who would integrate it into the wider public relations suite of the White House. Informing the Hedge Fund Community. 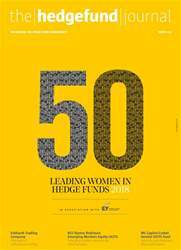 With access to some of the industry’s biggest names and an astute and talented group of writers and contributors, The Hedge Fund Journal has established itself as a trusted source of information on the hedge fund industry.